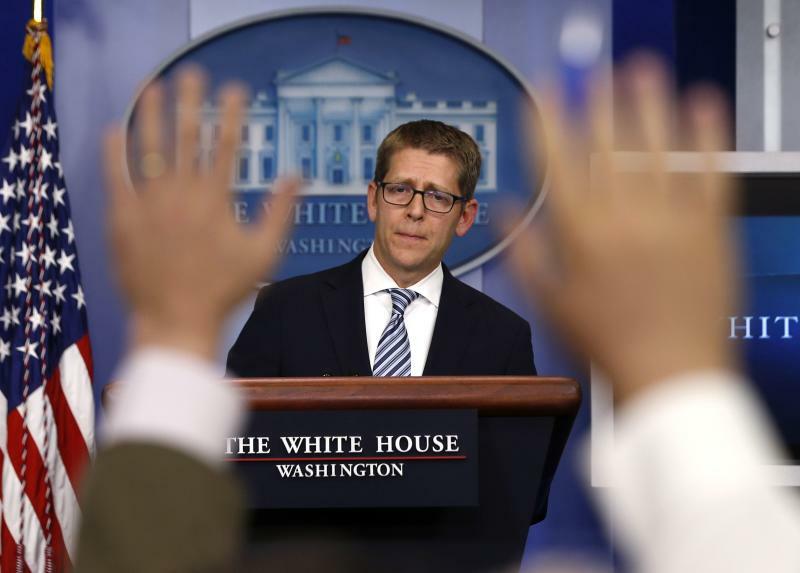 Should the White House do away with the regular televised briefing with reporters? In a word, no. We sometimes ask question after question about trivial things, often in the ringing tones of community theater actors imitating B-movie journalists. And then we share laughs with the White House spokesman in a way that sends the message that we’re all just having a good time together. For one former press aide to President Barack Obama, the answer to the question is a resounding yes. But that would be a terrible idea. Before we really get into the Q-and-A everyone loves to hate, a couple of disclosures. 1) I’m a member of the White House Correspondents' Association board, the group of media folks in charge of representing their colleagues in negotiations with the White House. 2) I'm speaking for only myself in this column. Well, yes. Particularly since Cherlin writes approvingly about the “actual business” of White House communications aides “figuring out which of the administration’s three favored outlets — The New York Times, AP, and Mike Allen’s 'Playbook' — will get advance word” of big decisions that could just be announced to everyone at the same time. None of that is true. Well, I suppose it’s possible that the most cynical White House operatives truly see that as preferable to honoring the spirit of pledges to be “the most transparent administration in history,” which sometimes feels roughly as meaningful as “most powerful cricket team in Alaska." At its best, the briefing can have a leveling effect: A reporter from an outlet that isn’t among The Chosen but might be called upon at the briefing benefits from asking his question in a public, televised setting. That means everyone will see the press secretary answering, replying, dodging, etc. For some reporters, who can’t even get their emails returned, this is a priceless opportunity. There’s also a chance that one of the Big Outlet Reporters who dominate the briefings will pick up the question, increasing the leverage necessary to pry an answer out of the White House (any White House). It also gives reporters a rare chance to set the agenda. Yes, of course the White House would prefer to talk about the president’s great and entirely genuine affection for middle-class Americans in Ohio. But what’s he doing about the mounting death toll in Syria? "It’s dangerous for society to cut back more on having access to government to hold them accountable," Dana Perino, Bush's last press secretary, told Yahoo News. As for how to fix things, Cherlin notes that many reporters miss the “gaggle,” a bygone off-camera give-and-take with the press secretary. Holding it off-camera kept the peacocking to a minimum (in my experience, many print reporters were tougher in the gaggle than in the briefing). And holding it early in the day meant the White House got a sense of what reporters would ask later at the on-camera briefing. Perino collapsed the gaggle and the briefing in September 2008 into one midmorning Q-and-A affectionately dubbed "the griefing." She now favors adding a modified gaggle — fewer reporters, off-camera, at a set time. The gaggle has made guest appearances in the Obama White House. Bringing back the gaggle would probably not be a perfect antidote, but it’s a good idea. More opportunities for questions, less inducement to preen for the cameras, etc. And “I’ll get back to you” is easier to say off-camera. Cherlin also notes that some reporters suggested the president himself take more questions from the press. He calls that “at once simple and highly improbable” because it’s high-stakes, high-reward — and high-risk. No self-respecting reporter would ever argue against this, of course. White House reporters also could rely on information from outside the gated campus on Pennsylvania Avenue. The White House has less of a monopoly on information than many think. Congress, government agencies, foreign partners are all in the know to a degree. For the foreseeable future, the briefing is here to stay. There’s no serious discussion of dumping it. So it’s incumbent on reporters to make it count. Now, if you want something really radical, how about my friend Ana’s suggestion that the entire White House press corps be abolished ?